This week the Senate Appropriations Subcommittee on Labor, Health and Human Services, and Education marked up their FY13 appropriation bill, which allocated approximately $158 billion to be divided up among its programs, including the Perkins Act. We are happy to report that Perkins was level funded. Given threats to non-defense discretionary programs from sequestration and other budget proposals, we think that level funding is a victory. Thank you to all of you who made outreach to your Senators! Hearing from constituents really can make a difference. The full Senate Appropriations Committee passed the Labor-HHS-Education bill yesterday by a party-line vote of 16-14. The bill proposes to change the name of the Office of Vocational and Adult Education to the Office of Career, Technical and Adult Education. In order for this to happen the House would also have to propose such a change in their bill or agree to the change in conference. During the mark up the full Committee approved an amendment to restoreÂ Pell grant eligibility for Ability to Benefit (ATB) students participating in career pathway programs. Pell eligibility for ATB students was eliminated in the FY12 appropriations bill. Contact Your Representative Today to Maintain Perkins Act Funding! The House Appropriations Subcommittee on Labor, Health and Human Services, and Education Subcommittee Chairman Denny Rehberg (MT) previously stated that his subcommittee would not mark up their appropriations bill until after the Supreme Court ruled on the Affordable Care Act. We are now hearing that he plans to mark up their bill on June 20th. If your Representative is a member of the Appropriations Labor-HHS-Education Subcommittee, we urge you contact them today and ask that they maintain Perkins Act funding. Because the Houseâ€™s allocation for education and labor programs is lower than that of the Senate, it is even more important that House members hear from constituents about the importance of Perkins and CTE in helping to prepare students for jobs that remain unfilled, and in turning around the economy. There is a greater possibility that Perkins could be cut in thisÂ House bill. Â Call the House switchboard at 202-224-3121, and ask to be connected to your Membersâ€™ office. Once connected to the Memberâ€™s office, ask to speak to the staffer that works on appropriations or education issues. The Senate Appropriations Subcommittee on Labor, Health and Human Services, and Education has tentatively scheduled markup of their FY13 appropriations bill for June 12th. Â As we previously reported, the Labor-HHS-Education bill sets a 302(b) funding level of $157.7 billion. House Labor-HHS-Education Subcommittee Chairman Dennis Rehberg (MT) previously stated that he does not intend to mark up their bill until after the Supreme Court rules on the status of the Affordable Care Act, which is expected to happen in late June. Presumptive Republican Presidential nominee Governor Mitt Romney (MA) focused on education this week. On Tuesday he released the names of his team of education policy advisors. You will recognize many of the names from the Bush Administration, including former Secretary of Education Rod Paige, former OVAE Assistant Secretary Carol Dâ€™Amico, and former ETA Assistant Secretary Emily DeRocco. A complete list can be found here. Make Title I and IDEA funds portable so that eligible students can choose which school to attend and bring funding with them. Require states to adopt open-enrollment policies for students receiving Title I and IDEA funds, and to eliminate caps on charter and digital schools. Replace federally-mandated school interventions with a requirement that states create public report cards that evaluate each school on its contribution to student learning. Consolidate federal teacher quality programs and offer states flexible block grants if they adopt policies to advance and reward teacher quality. Eliminate unnecessary certification requirements that discourage new teachers, such as the â€œhighly qualified teacherâ€ requirement. Consolidate duplicative and complex financial aid programs within the Department of Education. Increase private sector participation in the student loan market in providing information, financing, and education itself. Encourage market entry by innovative new education models, emphasize skill attainment instead of time spent in the classroom, and support research and development. Repeal confusing and unnecessary regulations that primarily serve to drive costs higher, and replace them with common-sense reforms that ensure appropriate student outcomes. NASDCTEc is pleased to announce that Robin A. Utz recently joined the Office of Vocational and Adult Education’s (OVAE) Division of Academic and Technical Education (DATE) team as Branch Chief for the College and Career Transitions branch. That branch administers national discretionary programs and initiatives that support program development and innovation in CTE. These programs and initiatives are geared toward increasing student achievement, closing the achievement gap, and preparing all high school students for transitions to postsecondary education and careers. 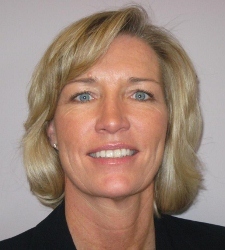 Prior to joining OVAE, Robin served as assistant director of the Career, Standards and Assessment Services Team at the Kansas State Department of Education (KSDE). Her responsibilities included providing leadership for K-12 schools to develop and implement a system of quality Career and Technical Education. She worked to develop and implement policy initiatives that reflect a progressive agenda to ensure all students will achieve challenging academic and technical standards to be prepared for college and careers. Her recent role includes working collaboratively with other CTE state directors and leaders on important initiatives, such as assessments and rigorous programs of study. Robinâ€™s professional career includes roles as a family and consumer sciences teacher, FCCLA advisor, and KSDE education program consultant for CTE programs. She was the 2011 recipient of the Champions of Digital Literacy Award sponsored by Certiport. Nominated by colleagues, peers, and students, Utz is a past recipient of several professional association awards. She has served on numerous committees and held elected offices in professional associations at state and national levels, including ACTE, AAFCS, and NASAFACS. Her bachelorâ€™s and masterâ€™s degrees were earned at Kansas State University. In Robinâ€™s new role at OVAE, she is particularly excited about the opportunity of continued relations with CTE state directors and colleagues across the nation. You can reach her at robin.utz@ed.gov and 202-245-7767. Robin, who has been active as a NASDCTEc Associate Member, is now able to make an impact at the Federal level and will continue to advance CTE’s value and relevancy. OVAE is planning a competition for a national research center to carry out scientifically based research and evaluation, and to conduct dissemination and training activities consistent with Section 114(d)(4) of the Carl D. Perkins Career and Technical Education Act of 2006. It seeks input on research topics and on types of dissemination activities and technical assistance to states to address the education, employment, and training needs of students in career and technical education programs. Please submit your comments to NationalResearchCent@ed.gov or at the Department of Educationâ€™s blog at http://www.ed.gov/blog/2011/10/national-research-center-for-career-and-technical-education/ by Oct. 21, 2011. On Friday Under Secretary of Education Martha Kanter and OVAE Assistant Secretary Brenda Dann-Messier hosted the latest CTE Community Conversation, hearing from representatives from national organizations about key issues related to CTE in preparation for Perkins reauthorization. This convening was designed to gather national association views on effective approaches for, and challenges facing, CTE. Each organization was given three minutes to make formal remarks, with Kim Green presenting for NASDCTEc. Some of the areas addressed by presenters included accountability and data collection, secondary to postsecondary linkages, college and career readiness definitions, using research to guide policy, career pathways, career guidance, non-traditional occupations, and regional sector strategies. â€¢	How can states and education institutions better prepare students for college and careers? â€¢	What actions need to be taken to further support the availability and effectiveness of career pathways for students? â€¢	What kinds of partnerships best support career pathways and how can effective relationships be brought to scale? â€¢	What information (data) should be used to better track and improve student outcomes, particularly those related to college and career readiness? Notes from this session will be available soon on the Department of Educationâ€™s blog here. You can also submit comments on any of the above questions to CTEConversations@ed.gov. How can states and local programs better prepare students for college (without the need for remediation) and careers? What has been your experience in implementing programs of study [career pathways] and what actions need to be taken to further support their availability and effectiveness for students? What partnerships have you formed to implement your programs of study and what supports should be provided to continue and expand those relationships? How do you measure your studentâ€™s success, particularly as it relates to college and career readiness, and what information (data) do you need to better track and improve program outcomes? The next two sessions are scheduled to take place in Pennsylvania and Missouri. More information and notes from each session can be found here. You may also provide comments via e-mail at CTEconversations@ed.gov. Beginning this month, selected participants from community colleges, philanthropic organizations, state and local government, and businesses will come together to address one goal: identifying best institutional practices to increase Americaâ€™s college graduation rate. The Department of Educationâ€™s Office of Vocational and Adult Education (OVAE) is sponsoring four one-day regional community college summits in an effort to continue strategic conversations started at the first White House Summit on Community Colleges in October. Attendees will discuss the role of community colleges in meeting President Obamaâ€™s goal for America – to have the highest proportion of college graduates worldwide by 2020. For more information, or if you would like to be considered for attendance at one of the regional summits, please see OVAEâ€™s Community College Regional Summits document.